The severity of the collapse in markets late last year was quite surprising, given that global gross domestic product continued to grow very close to trend in the fourth quarter. Many global markets, including the major risk assets, the yield curve and credit spreads, are now pricing a probability of recession of at least 50 per cent within 12 months. This recession risk seems far too high, especially in the US. The strength of the American labour market, and the recent indications from the Federal Reserve that it will pause its rate increases, should protect the economy from a severe setback this year. As goes America, so goes the developed world. With investors too pessimistic about immediate economic prospects, risk assets may continue to recover from present depressed levels. An alternative, however, is that asset price turbulence will return, setting in train a tightening in financial conditions that independently causes a recession. The inter-relationships between recessions and bear markets are complex and not very well understood. It is clear that they tend broadly to coincide in their timing. However, it is far from clear which causes which. Economists often assume that recessions are basically caused by economic fundamentals, with the financial markets reacting when these fundamentals deteriorate. Sometimes investors may be able to discern rising recession risks before they actually appear in hard economic data, in which case the onset of the bear market may precede and apparently “predict” the official start of the economic downturn. Notwithstanding these varying time lags, the main direction of causation in these examples is from the economy to the markets, not the other way round. Understanding this mechanism is one of the main justifications for employing economists in the financial markets in the first place. However, in recent cycles, leverage in the financial system has generated such large gyrations in asset prices, liquidity provision and risk appetite that it has independently caused recessions in the real economy. Recent work by Claudio Borio at the Bank for International Settlements, has argued persuasively that, since the mid 1980s, the financial cycle has operated with a much longer amplitude than the economic cycle, and that it has predicted the onset of economic recessions. There is no doubt that a collapse in the financial cycle was the dominant force during the recession of 2008-09. Fortunately, the current state of the financial cycle is not pointing to severe vulnerabilities in the US and other advanced economies, though many emerging markets, including China, seem very overstretched (see appendix). An ambitious objective for macro-economists would be to develop models that are capable of understanding and forecasting financial and economic variables within a single, all-encompassing system of equations. However, even the most advanced macroeconomic models currently in use in the central banks are some distance away from such an achievement. 1) The leadership of the Fed is optimistic that the US economy will slow this year, but that recession risks are low, because the labour market, corporate finances and financial imbalances in the private sector remain in good shape. When the markets realise this, asset prices will recover and the FOMC may resume its tightening path. However, if financial turbulence returns, the central bank will be willing to relax policy, using both lower interest rates and a slower run down in the balance sheet. A data determined Fed will not make a large policy error. 2) Ben Bernanke recently argued that economic expansions do not die of old age, but are murdered, presumably by the central bank. This implies that most recessions are caused by a tightening in monetary policy needed to keep inflation in check. This standard view, stemming from repeated episodes before the 1980s, sees little recession risk this year because inflation remains well below target. 3) A more pessimistic assessment, supported by Lawrence Summers, is that a recession is at least 50 per cent likely in the next year or two. My interpretation of Summers’ remarks is that he expects a spontaneous slowdown in aggregate demand, triggered by the Chinese slowdown, the depressing impact of secular stagnation on equilibrium interest rates and a failure of the US fiscal authorities to prepare infrastructure programmes in advance to stabilise demand. On this view, recent financial turbulence is correctly anticipating, not causing, a weakening economy. 4) A different view is that financial instability will be sufficient on its own to cause the next recession. Brad DeLong argues that only one of the past four recessions (in 1979-82) was “conventionally” caused by a hostile Fed, while the other three were directly caused by instability in the financial system. While the specific trigger for the next downturn is inherently unpredictable, he thinks the culprit will be a sudden, sharp “flight to safety” after the revelation of a fundamental (but unexpected) weakness in financial markets. That, says DeLong, is the main factor that has been generating downturns since at least 1825. Bear markets and recessions occur as terrible twins, but each can cause the other, and they may interact to make each other worse. Optimists think that advanced economies are safe from a severe downturn, mainly because inflation is still very low and the financial cycle is not over-stretched. Meanwhile, pessimists think that stagnationary forces will prevail, perhaps triggered or exacerbated by an unpredictable financial shock, and they fear that policymakers will be unable to stabilise imploding aggregate demand. They also point to extremely advanced financial cycles that may be ready to implode in China and other emerging markets. In my opinion, the optimists probably have the weight of evidence on their side for now, especially since the Fed has revealed its true, dovish colours. Recessions and bear markets may both be avoided in 2019. But there are no certainties in this field, just informed guesses. Since the end of World War II, the United States, as the dominant European (and world) power, has piloted transatlantic security. But under President Donald Trump, the US isn’t doing much leading, and it is not always even clear who in Trump’s administration is really in charge. WASHINGTON, DC – Transatlantic security today looks a lot like a ghost plane. With the “crew” incapacitated – that is, bereft of ideas or leadership – it is flying on autopilot until it inevitably hits something or runs out of fuel and comes crashing down. To avoid disaster, those in the cockpit need to wake up – and son. Since the end of World War II, the United States, as the dominant European (and world) power, has piloted transatlantic security. But under President Donald Trump, the US isn’t doing much leading. Indeed, it is not even clear who in Trump’s administration is really in charge any more. Today, former US Secretary of State Henry Kissinger’s apocryphal question – “Who do I call if I want to call Europe?” – can just as easily be tossed back across the Atlantic. When Trump came to power, America’s European allies (and much of the rest of the world) thought they knew the answer to that question. They hoped that, whatever bluster issued from the White House, the US would ultimately support the status quo. US policy, they told themselves, would be dictated not by Trump’s tweet storms, but by the more reliable “adults” in his government – Rex Tillerson, Trump’s first secretary of state; H.R. McMaster, Trump’s second national security adviser; and James Mattis, Trump’s secretary of defense. Given Mattis’s rationale for leaving, one might have imagined that his resignation would at least make US policy more predictable. 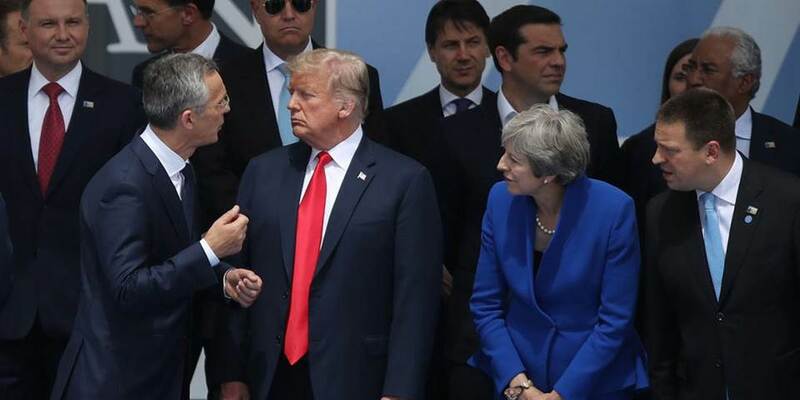 Rather than wonder whether the US would abandon NATO, as Trump suggested, or stand by it, as his administration’s senior officials promised, Europe could respond to a single message. That message might be unwelcome and dangerous, but at least others would know where they stand. Then, at the beginning of January, US National Security Adviser John Bolton was dispatched to the Middle East to reassure nervous allies – in particular, Israel – about Trump’s decision. These countries are concerned that an abrupt withdrawal of US forces will permit ISIS to survive and even recover, leave Kurdish forces that have been integral in the fight against ISIS exposed to Turkish attacks, and allow for unfettered forward positioning by Iran in Syria. These are legitimate concerns – so legitimate, in fact, that Trump’s big Syria announcement was quickly walked back. A US withdrawal, Bolton declared, would be contingent on fully defeating ISIS and a Turkish guarantee not to attack America’s Kurdish allies. Yet, with no adults around to tell them what to do, Trump’s administration failed to clear these new conditions with Turkey. An outraged Erdoğan canceled a planned meeting with Bolton to discuss the withdrawal. The Trump administration’s Syria policy is now an open question. This was not the result of an oversight or disorganization in the Trump administration. Nor was it a case of ineffective or misguided leadership. What is happening to US foreign policy reflects a lack of any kind of leadership at all. At this point, no one knows what US policy is or even who is making it. Unsurprisingly, this has left the entire transatlantic community adrift. Next month, the doyens of international politics and diplomacy will gather for the annual Munich Security Conference. While the event has grown over the years, and now covers global issues, its core remains the transatlantic community. The MSC thus represents an important opportunity to discuss openly the utter lack of leadership on transatlantic security. Last year, the MSC chose as its theme the semi-hopeful “To the brink – and back?” This year, it should be “Is anyone at the wheel?” The Americans in the ballroom at Munich’s Hotel Bayerischer Hof may say yes. But they are not the ones in the cockpit. Despots and crooks are using China’s infrastructure project to stay in power—with Beijing's help. When former Malaysian Prime Minister Najib Razak was ousted from office in May 2018, it’s possible that no one was more dismayed than officials in Beijing. After all, Najib had granted China extraordinary access to Malaysia. Across the country, huge China-backed infrastructure projects were being planned or breaking ground. But as China’s presence in Malaysia swelled, a scandal was engulfing the prime minister’s office. Najib was accused of massive corruption linked to the development fund known as 1MDB. As the election neared, his opponent, Mahathir Mohamad, alleged that some of the Chinese money pouring into Malaysia was being used to refill the fund’s graft-depleted coffers. Now, Malaysia’s anti-corruption commission is investigating those claims. And last week, an explosive Wall Street Journal report exposed the most damning evidence yet: minutes from a series of meetings at which Malaysian officials suggested to their Chinese counterparts that China finance infrastructure projects in Malaysia at inflated costs. The implication was that the extra cash could be used to settle 1MDB’s debts. According to the report, Najib, who has denied any part in corruption, was well aware of the meetings. If true, the report puts tangible proof behind widely held suspicions that China exploits corrupt regimes to propel its Belt and Road Initiative (BRI). The BRI requires China to build infrastructure in other countries—a process that’s fraught with official approvals, feasibility studies, stakeholder engagement, and other bothersome procedures. In corrupt countries, however, many of these obstacles can be bypassed with bribes and back-room dealing—in fact, some of the red tape exists primarily to extort money from businesses. For this reason, it’s easy to understand why China might prefer working with corrupt regimes. But not just China benefits from corruption in BRI projects. In many cases, the leaders of BRI-recipient countries see the projects as opportunities to sustain and legitimize their own corruption, as well. Many countries that receive BRI investments suffer from high levels of corruption. On the TRACE Bribery Risk Matrix, most rank in the lower 50 percent, and 10 are among the riskiest 25 countries in the world. They often have opaque legislative processes, weak accountability mechanisms, compliant media organizations, and authoritarian governments that don’t permit dissent. For politicians in these countries, the BRI offers an array of tools for enabling corruption: injections of easily diverted cash, dazzling infrastructure to placate the citizenry, and the imprimatur of a cozy relationship with one of the world’s most powerful nations—all of it wrapped up in a virtual guarantee that their wealthy benefactor will, at the very least, look the other way if any improprieties should surface, so long as the project in question gets built. Malaysia has come to embody this dynamic. The new government has unearthed what it says are numerous abnormalities embedded in the previous administration’s deals with China. For instance, a Chinese state-owned enterprise was paid $2 billion in advance for two Malaysian pipeline projects that it had barely started construction on. Another BRI project, Malaysia’s East Coast Rail Link, was so expensive that authorities suspect its cost was artificially inflated. All of these projects have been suspended while the new administration reviews them. The excess money generated by these projects was allegedly siphoned off by the Najib administration to pay down 1MDB’s debts. But while Chinese largesse may have kept these deals in the dark for a while, Malaysian voters were ultimately able to hold their prime minister accountable at the ballot box. Not every country has that option. China’s investments in oil- and gas-rich Central Asia have allowed autocratic regimes in that region to flourish. A prime example is Kazakhstan. The Kazakh government, a veritable kleptocracy, is extremely corrupt. On Transparency International’s 2017 Corruption Perceptions Index, Kazakhstan ranked in the bottom third of 180 countries. China, of course, struggles with its own share of corruption. In fact, some of China’s own infrastructural marvels have been built through means that were less than scrupulous. President Xi Jinping’s anti-corruption purges have frozen some of that at home. In its construction projects abroad, however, Beijing’s approach seems to be “whatever works.” In no part of China’s lengthy declaration of the BRI’s principles is any attempt made to discourage corruption. And according to a report by Transparency International, no charges have ever been brought in China against a company, citizen, or resident for corrupt practices committed overseas. If anything, the BRI has revealed that, for Chinese officials acclimated to corrupt environments at home, executing overseas projects through unsavory means comes somewhat naturally. Like many undertakings in China, BRI projects are subject to the slippery Chinese concept of guanxi—systems of mutually beneficial relationships that grease the wheels of many a business transaction. In China, bringing a sprawling, unwieldy infrastructure project to completion without guanxi can seem an impossible task. While Chinese corruption at home doesn’t threaten to bankrupt the government, Chinese corruption in smaller, poorer countries sometimes does. For some of these countries, China’s BRI project is the biggest infrastructural endeavor they’ve ever attempted—a high-stakes gamble collateralized with mountains of debt. When such projects are approved by local leaders more interested in enriching themselves than in weighing the cost for their country, locals can find themselves crushed beneath the weight of white elephants. Laos may face this fate. At China’s behest, Laos is building a railway from its northern border to Thailand with a large loan from a Chinese bank. The $6 billion project was championed by the country’s former deputy prime minister, Somsavat Lengsavad, a fluent Mandarin speaker with close ties to Beijing. Somsavat almost single-handedly ushered the project through the Lao bureaucracy, despite warnings from the International Monetary Fund that it threatened the country’s ability to service its debts. Laos should look to Sri Lanka, where Hambantota Port was built by China under former President Mahinda Rajapaksa. When Rajapaksa faced an electoral challenge in 2015, money earmarked for the port’s construction somehow found its way into the president’s campaign coffers. In the end, Rajapaksa lost the election, and the port proved so unprofitable that the new government was forced to hand it over to China in a debt-for-equity swap. Deals such as this are a reminder that, for China, the BRI is as much a foreign-policy instrument—and sometimes a domestic political move—as it is an economic program. BRI projects that are aimed at advancing China’s strategic goals, or that are launched by party officials chiefly interested in signaling their loyalty to Xi, will often not produce the kind of economic returns that would pass muster in a cost-benefit analysis. This is why China needs leaders like Najib, Somsavat, and Rajapaksa to get such projects approved, despite their dubious value to the country they’re built in. But just as China needs these politicians, they need China, too. The relationship between China and corrupt BRI partners is symbiotic and, often, more complex than simple bribery. In Malaysia’s case, it increasingly appears that the Najib administration’s defining aspect, the 1MDB fraud and its subsequent cover-up, relied heavily on infusions of BRI cash. Indeed, if Najib had not been voted out of office last May, his alleged rerouting of Chinese investments might be ongoing to this day. But the problem with leveraging BRI projects to enable homegrown corruption is that once you’re caught, you’re on your own, and China is on to the next big thing. Will Doig is a journalist covering urban development, transportation, and infrastructure. He is the author of "High Speed Empire: Chinese Expansion and the Future of Southeast Asia." 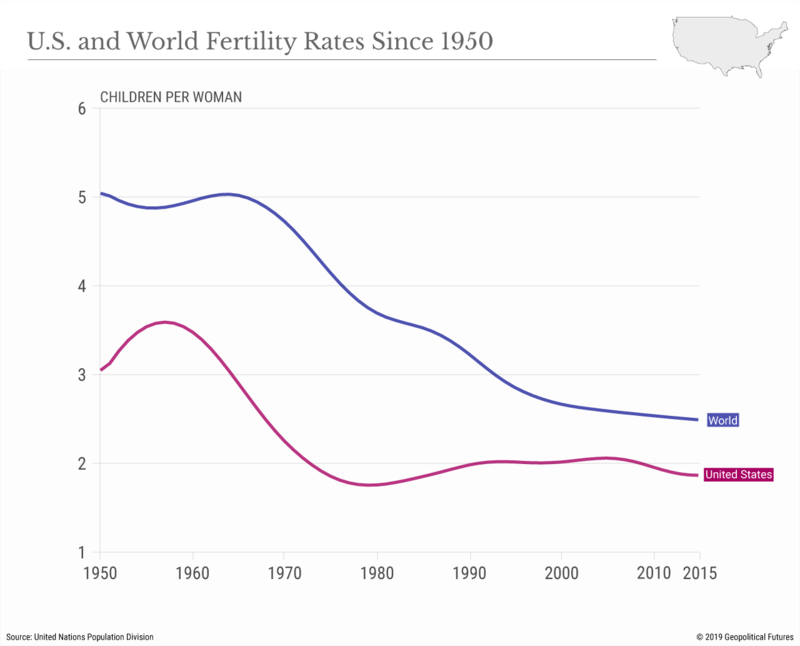 As population growth booms and slows, the only constant is panic.